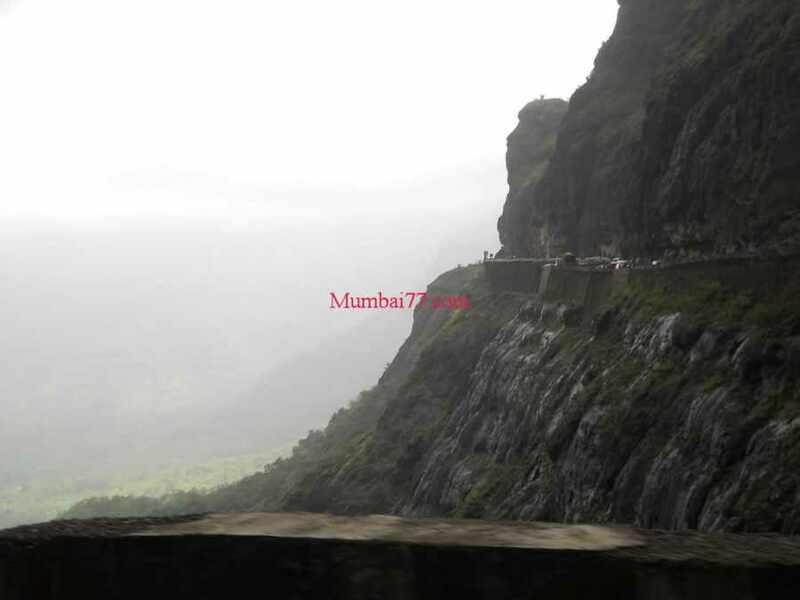 On National Highway 222 from Thane, Malshej is a green valley with mountains around on the hilly slope and is a perfect monsoon picnic spot near Mumbai. People are attracted towards the multiple waterfalls which are inside valley and few on the way on road itself. This green land also attracts many birds towards its purest climate alone with other flora and faunas. Malshej ghat being a hillock attracts trekkers and rock climbers, just need to take care that the hills are meant only for professional rock climbers. In monsoon the climate changes every few minutes, a sudden fog gets quickly vanished with beautiful sun rays for few seconds that enhances the beauty of mother nature at western ghats of sahyadris and all such near locations of Mumbai. Malshej hills has many spots, During monsoon one is out of imagination getting beautiful waterfalls just near the parked car on slopes of this Ghat. Reach the Flamingo Hills and you are at the best picnic spot of Malshej ghat, reason being the scenic view of green valley, small big waterfalls, other spots view and those monsoon rain and fog all around you at a same time. The bonus of Flamingo hill spot being the MTDC (Maharashtra Tourism Development Corporation) Resort. Enjoy a hot cup of tea / coffee with those moving Fog around you. 40 Kilometres from Malshej is Shivneri Fort (Birth Place of Shivaji Maharaj), another wonder spot on Hills in Pune / Ratnagiri district one must visit if have enough of time. Not Always, Yet this valley is Good for Hiking, Monsoon trekking, Abseiling (Rappelling) and Paragliding which are some of the possible adventures at Malshej Ghat. People need to take care of the slippery slopes and the edges of mountains during stormy winds in Monsoon. It is recommended to go with professional adventurers and instructors / company for any such adventure sport around this ghats. The only accommodation option if you want to be in midst of Malshej Ghat is the MTDC resort located in centre of this valley at Flamingo Hills. If you are on one day picnic at Malshej, You can have your snacks, lunch, tea and coffee and get fresh as it does has public toilet facilities. Booking Details : MTDC accepts all their booking for monsoon online, You need to book before a month for comfortable and best accommodation. This year 2012, MTDC has also started building more cottages and mini bungalow looking valley facing accommodation options which can be enjoyed in 2013. Naneghat, Which is on same National Highway 222 and comes before Malshej. Shivneri Fort, a beautiful old fort with lots of water ponds, old rocks and other attractions which is a birth place of warrior Shivaji Maharaj, The great maratha king. Other waterfalls, small Hillocks in midst of jungle.